Posted on April 26, 2014 by The MGT. I Ching divination cast by Greg Hill for Kerry Thornley, dated April 26, 1970. We Chi is an interesting casting for Thornley at this time. 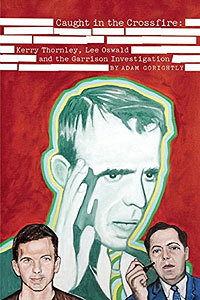 Thornley was ascending into High Weirdness after being targeted as a possible “Second Oswald” by New Orleans District Attorney Jim Garrison’s JFK Assassination investigation. Thornley would soon, in the mid-70s and following years, order part of his life around the JFK Assassination based on his belief of recovered memories of involvement in the early-60s with the mysterious “Brother-in-Law” as he documents in his infamous The Dreadlock Recollections. As he tried to make sense of it all, Thornley could aptly be described as a “wet-tailed fox” during this time where his “transition from disorder to order is not yet complete,” although Thornley was trying his best to complete that transition with his increasingly conspiratorial speculations. My you be free of The Curse of Greyface. On the bottom-right of Page 00074 is pasted a black marker representation of Hexagram 11: T’ai (or Peace), shown below. This hexagram is also to be found in the July/August 1970 issue of Hill’s zine The Greater Poop #30 on Page 00004 discussing the Discordian Rev. Dr. Hypocrates Magoun, P.P., and his “antics” with LSD during his United States Air Force service. The Rev. 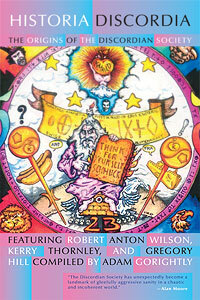 Dr. Hypocrates Magoun is the Discordian name of Robert Newport, an Early Discordian and savior of Greg Hill’s Discordian archives. As all these Greg Hill hexagrams occur around the same time in the late-60s/early-70s, shown above, below, and in previous posts, it’s clear Hill was at this time dabbling with the eternal mysticism of the I Ching and producing it in his literature and correspondences, as well as being called on by his fellow Discordians to cast their fates. Now whether it did them any good? No Blame. Hail Eris! Part Five: The Golden Secret with I Ching Hexagram 11, T'ai or Peace. This entry was posted in book, discordianism, greg hill, kerry thornley, letters, principia discordia, robert newport, writings, zines. Bookmark the permalink.